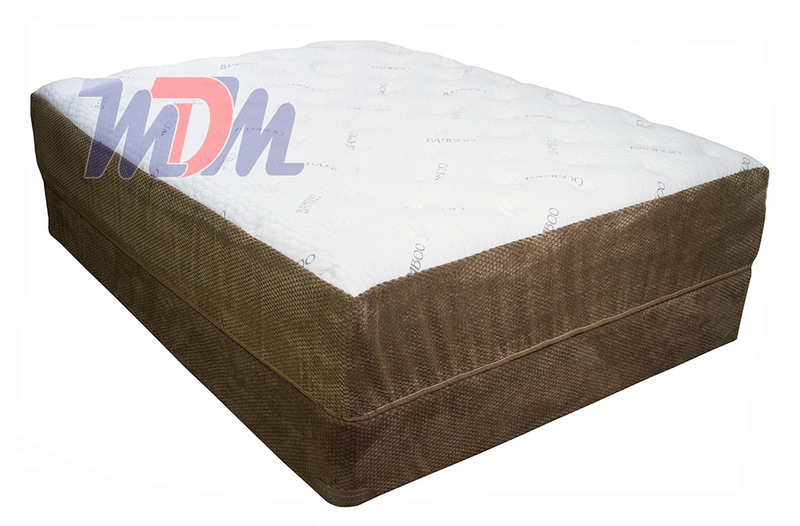 Restonic's "Natural Sleep" line is full of comfortable, natural and durable latex mattresses. The Talalay-based "Healthrest Latex" is considered to be the top of the line. It measures over a foot thick, offers a very high density support foam base, six full inches of latex and a plush feel that is oftentimes hard to find in a quality latex mattress. The Tencel Fiber cover will help you sleep cooler and healthier. All of its foams are Certified CertiPUR-US; even its base layer. This is a heavy duty mattress with a 20 year warranty that has been engineered to the highest of standards. All parts (including foundation) are Made in America - with American-Made materials. For the health-conscious and eco-friendly, this is surely the mattress model for you! Many seek out Latex Mattresses because they are a more environmentally conscious product, others because they love the longevity and quick-response that the latex foam gives. No matter which (if not all) of these attributes you find yourself a fan of, the Restonic Natural Sleep Healthrest Latex will surely satisfy you. One of the best latex models on the market, Restonic has created this one with a Tencel Fiber cover, which is; anti-microbial, moisture-wicking and hypoallergenic. Beginning with a Luxury Soft Latex layer (2") then leading into a Firm Support Talalay layer (1"), dropping down into another three inches of CertiPur-US Luxury Soft Latex; this model is meant to give you a more plush feel - something that is searched for but not often found by Latex Mattress Shoppers. This mattress is made in America with 100% American-Made Materials. 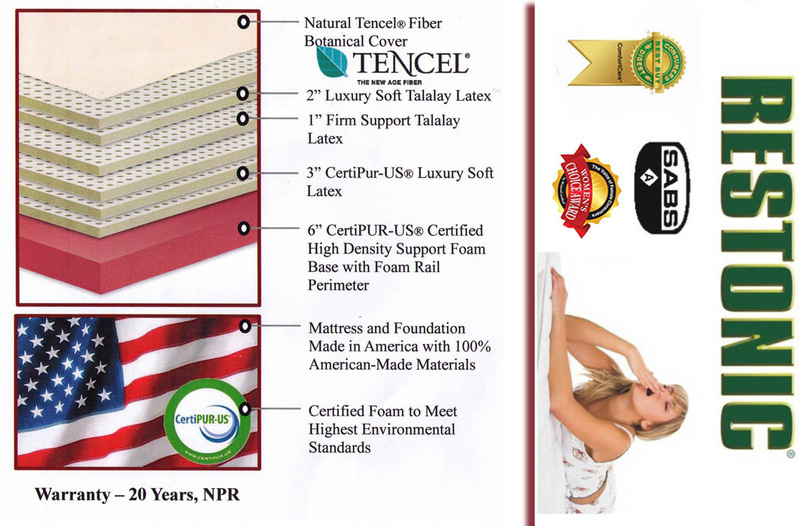 All of its foams (including the 6" Certified High-Density Support Foam with Foam Rail Perimeter) are Certified to Meet the Highest Environmental Standards. Michigan Discount Mattress offers this luxury model at a far less-than-luxury price.